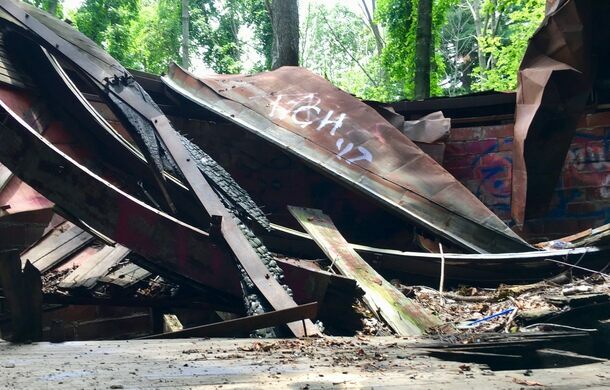 Buried in the Indiana wilderness, the abandoned Knightridge Space Observatory is astronomy’s answer to the eerie backwoods shack. A simple, two-story telescope dome, the observatory was built between 1936 and 1937 in the then-remote area of Bloomington. 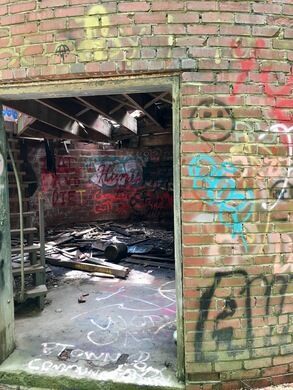 The squat building consists of just two rooms, one on the ground floor and an upper room where the crude, four-ton telescope could look out of the retractable viewing slot built into the domed ceiling. While the outer wall is made of sturdy brick, the interior construction and the dome were built from wood. The dome was placed on a track with rollers that allowed the entire ceiling to rotate in order to find the best viewing angles. The facility was simple, but effective for early 20th-century astronomers. 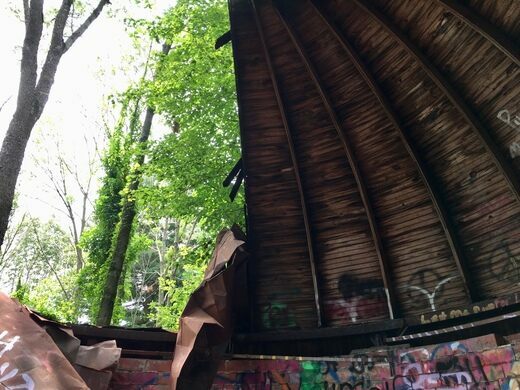 The area of Bloomington continued to grow over the years and eventually grew close enough to the station that the observatory’s delicate viewing instruments were no longer as effective. This, combined with a growing obsolescence, led to the observatory’s eventual abandonment. While it has been emptied of its equipment, the Knightridge Space Observatory still stands. 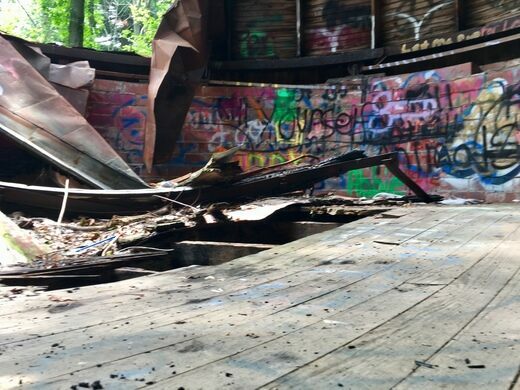 The viewing window has been damaged by falling logs, the dome has rusted in place, and the upper floors are treacherous with rotten wood, but the ruin still manages to draw the interest of explorers. Southeast corner of Knightridge Road and E. Lampkins Ridge Road. The grove of trees surrounding the observatory is not large, but it's dense enough to conceal the building when the trees have their leaves. 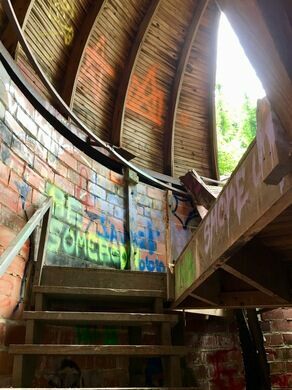 This abandoned turn-of-the-century astronomy station is now the subject of more photographs than it ever took. This magical place built as an astronomical center starred as a James Bond villain's lair. 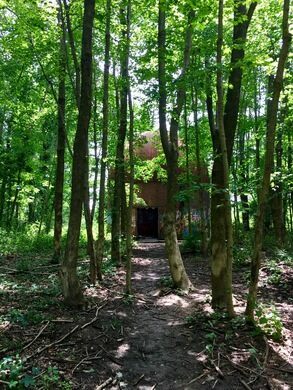 An abandoned tower once used to study the cosmos hides within a thicket of greenery.